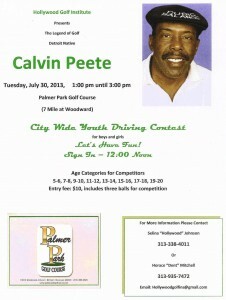 Detroit Public School League golf coaches should mark the calendar for Tuesday, July 30 at 1 p.m., at Palmer Park Golf Course. 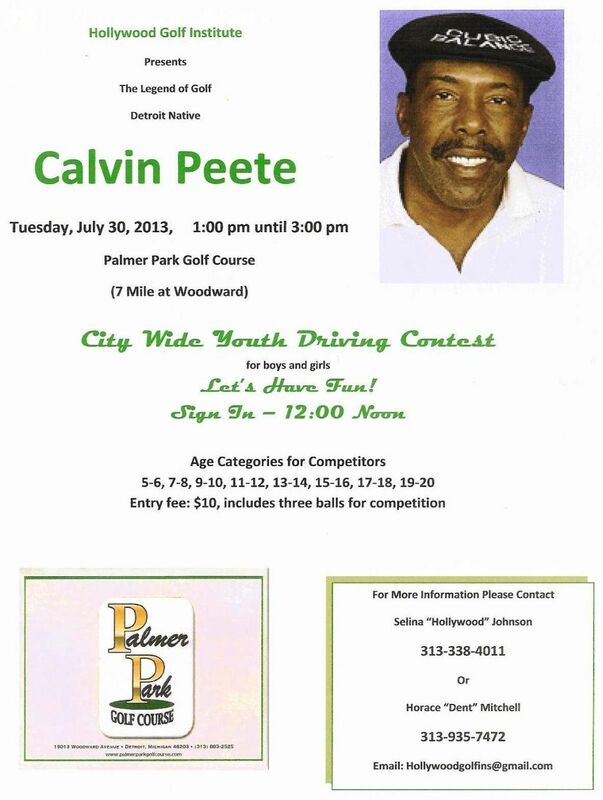 All coaches should plan to bring their team members for a rare opportunity to meet Detroit native and pro golf legend Calvin Peete and to compete in the City Wide Youth Driving Contest. The event is sponsored by the Hollywood Golf Institute. Sign-in is 12 noon and age categories for boys and girls competitors are 5-6, 7-8, 9-10, 11-12, 13-14, 15-16, 17-18 and 19-20. Entry fee is $10 and includes three balls for competition. Peete, with 12 victories from 1979-86, was the most successful African-American on the PGA Tour prior to the rise of Tiger Woods.